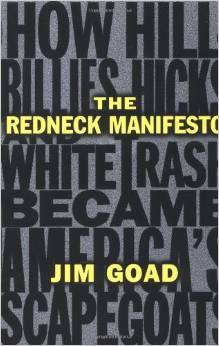 “While tracing the history of poor whites to the beginning of American culture, he insists that all Caucasians not be lumped together into one group, and that poor white southerners should not be punished for the sins of their richer forefathers.” What I think Jim Goad writes is that many poor white southerners have poor ancestors who lived under slavelike conditions, the opposite of having richer forefathers. I see your point! He does write about the poor whites who descended from other poor whites, suffering generations of poverty, many whom were sharecroppers. He does discuss how some whites might have had rich ancestors, but how they did not grow up in the same environment. Goads wants to remind us that the stratification of classes be included in discussions about race.